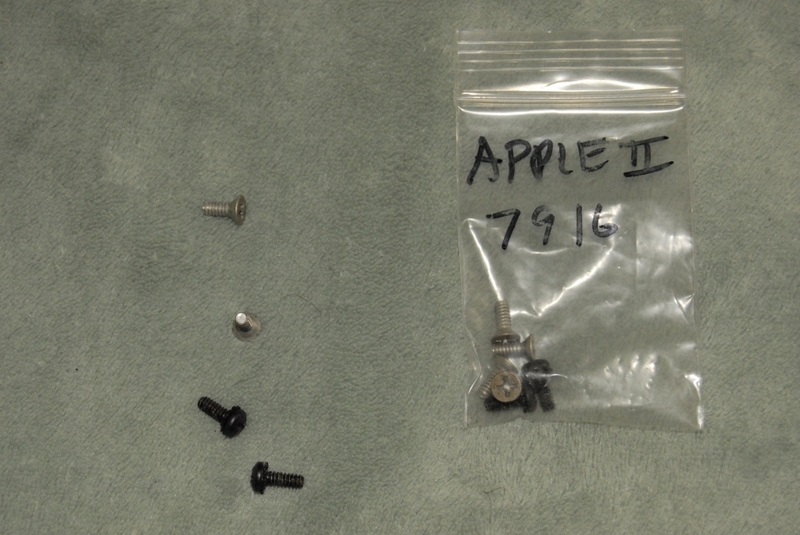 Apple Stuff from 10+ years ago has been rediscovered. 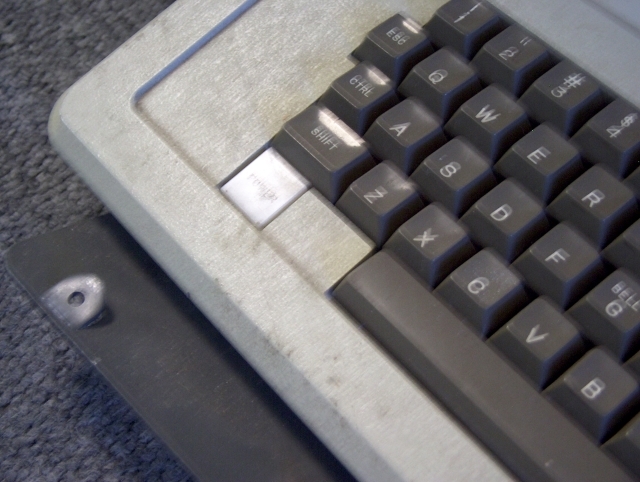 Submitted by MarkO on Sat, 2012-10-27 04:46. 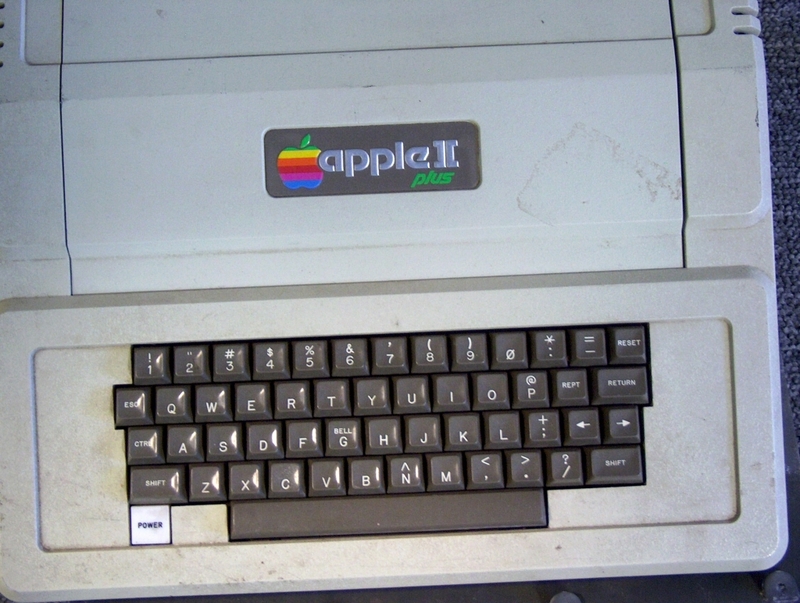 I have been working on other Hobbies, and have let the Apple ][ "stuff" sit for a while... 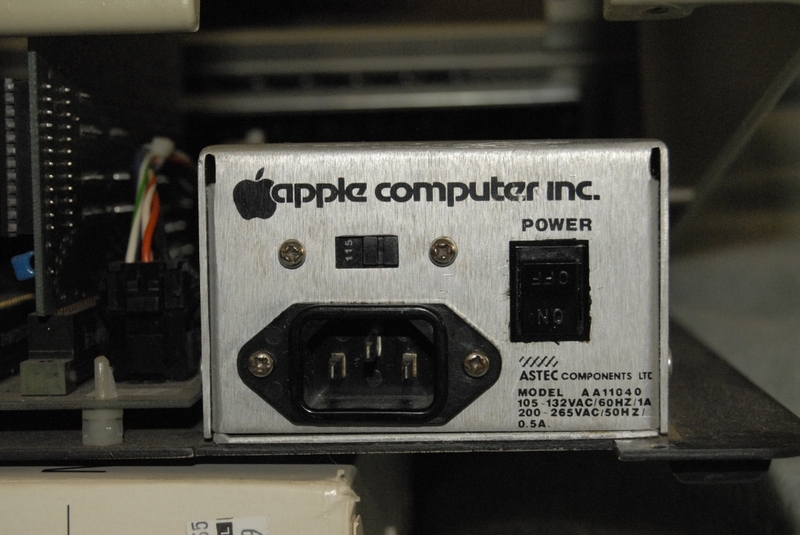 But in needing to consolidate my Storage Units, it has caused me to do some cleaning and rearranging, and some of my Apple Stuff from 10+ years ago has re-surfaced. 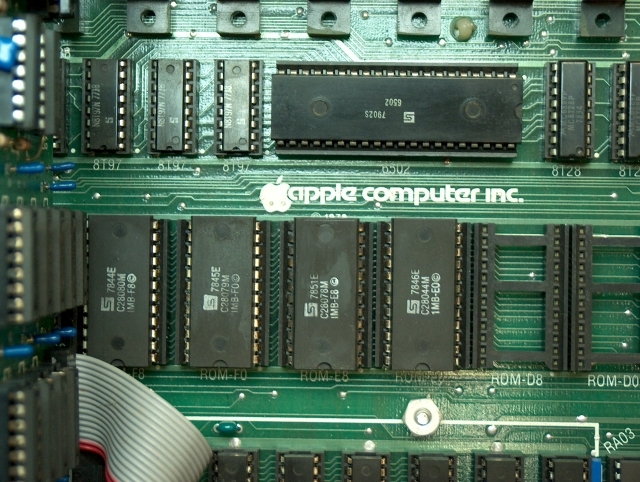 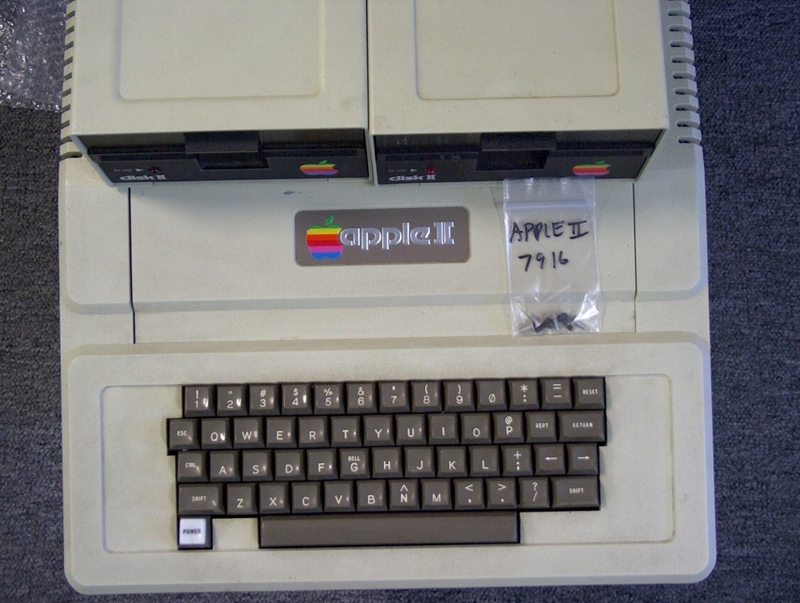 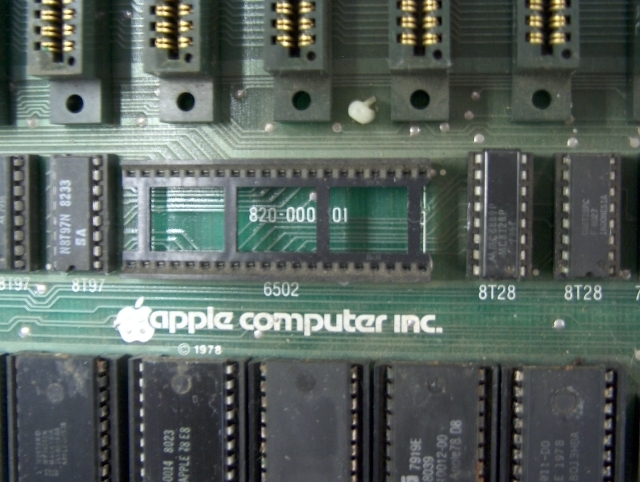 Somewhere around 8-10 years ago, my Dad gave me a couple Apple ]['s he found at Garage Sales or Thrift Stores, One was an Apple ][, the other was a Apple ][+. 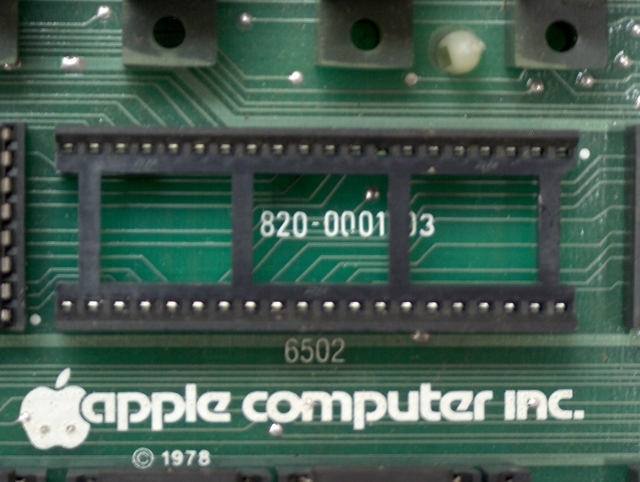 My first Apple ][ that I owned was the //e, which I shared with my Dad when I was 17 years old and still in High School, so to get some even Older Apple ]['s was quite a Historic Thrill. 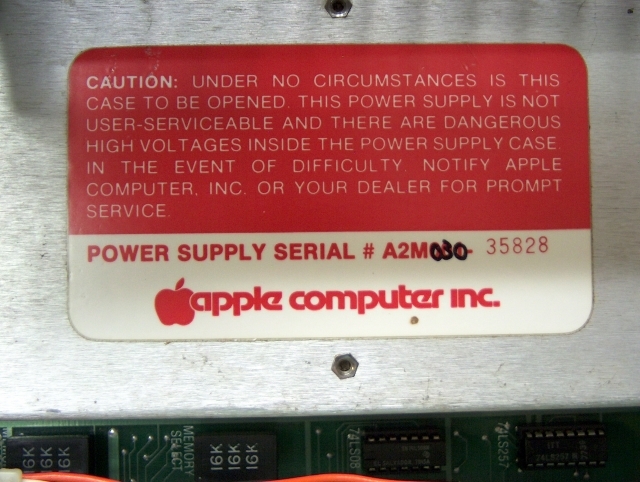 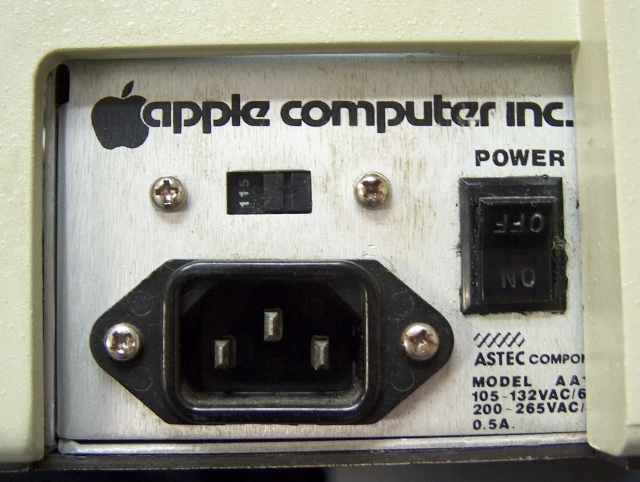 Neither seemed to boot at the Time, and the Apple //e my dad gave me had a dead Power Supply, so I remove the 3rd Party Supply from the Apple ][+ to power the Apple //e. 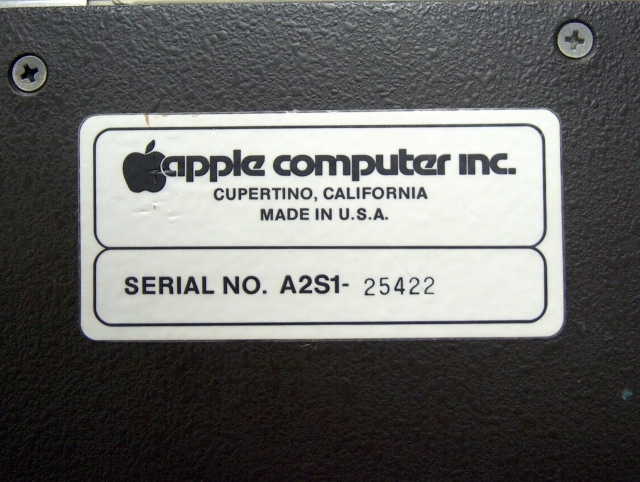 The Chip Dates, MotherBoard Date and Keyboard Date, (09-APR-1979) all seem consistent with other similar units I have found on eBay, Example #1 and Example #2. 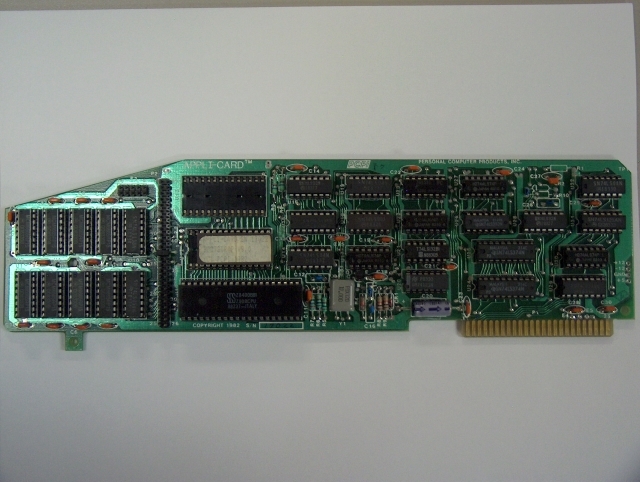 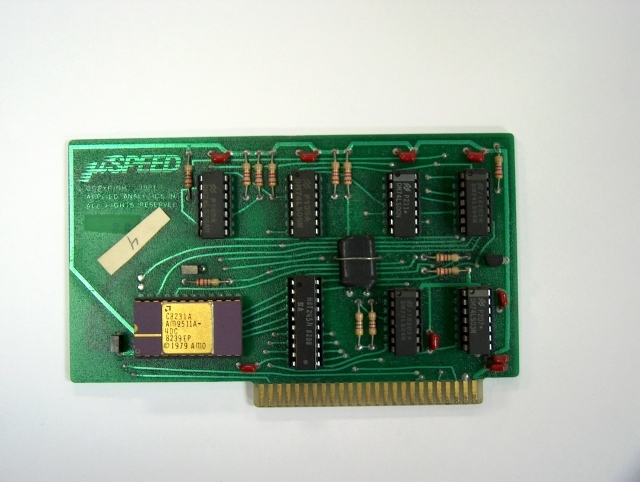 An Applied Analytics uSPEED Math Co-Processor Card with an AMD AM9511A which seems very similar to the "Model 7811 Arithmetic Processor" from California Computer Systems , because this card passes the CCS 7811 Install Test, found on Page 2-3 of the Manual. 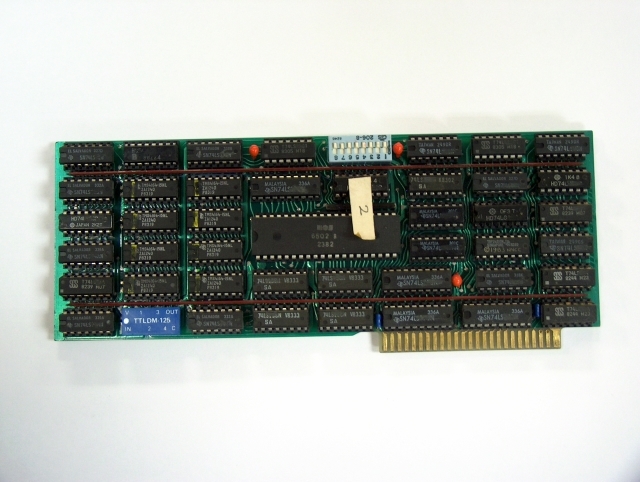 A PCPI APPLI-CARD, Z80 for CP/M card. 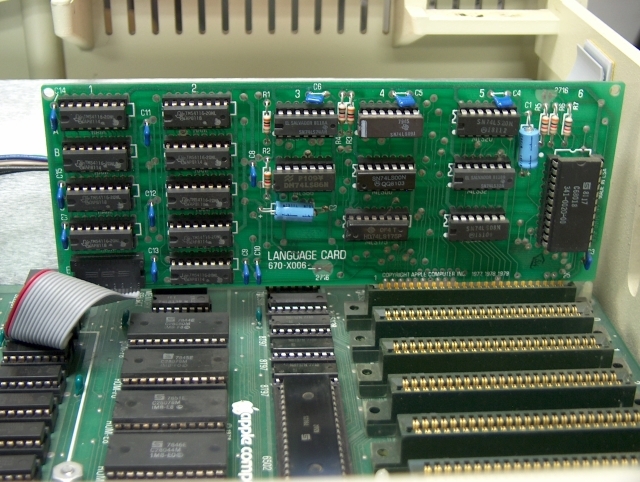 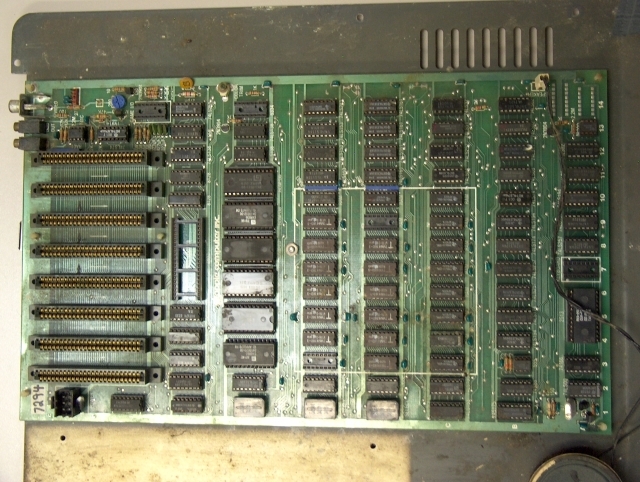 A Number Nine alternate Processor Card with a MOS 6502. 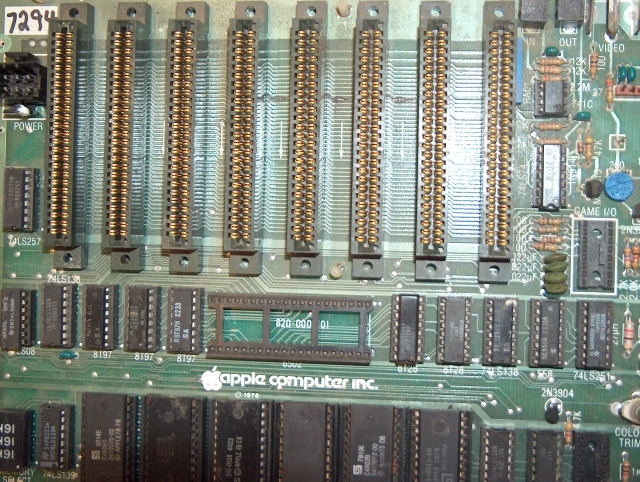 Unless "someone" was Swapping Apple Parts around own their own, Apple's repair procedures have been "messing a bit" with this Apple II. 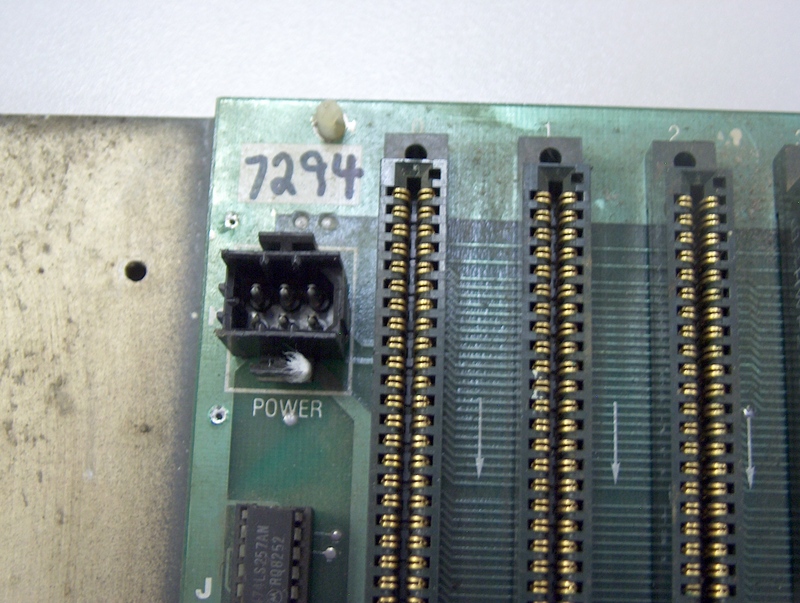 This Motherboard is quite dirty, and will definitely require cleaning, plus the 9334 chip next to the ROMs in missing, and one of the 16Kx1 RAM Chips.. 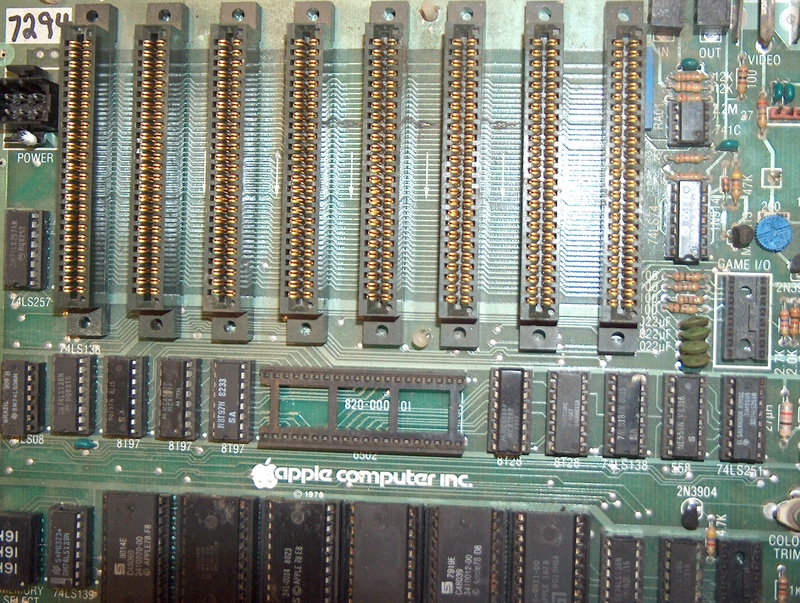 I hope that I can get it working, as it will make a nice board for the Apple ][+, or even as a Transplant to an Apple ][ that needs a replacement board. 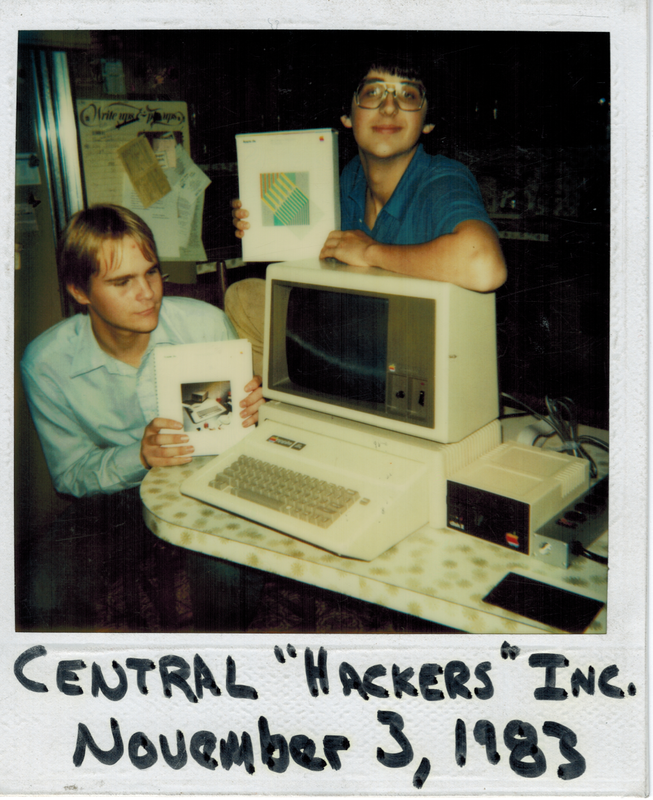 Myself on the Left and Randy on the Right, "our" computer.. We were Co-Owners, each with %50 percent ownership of a Used Apple][e, with 64Kb a Single 140Kb Single Sided Apple ][ Floppy and an Apple III Monitor. $1,200.00 ( USD ) Used, $1,999.00 ( USD ) New. 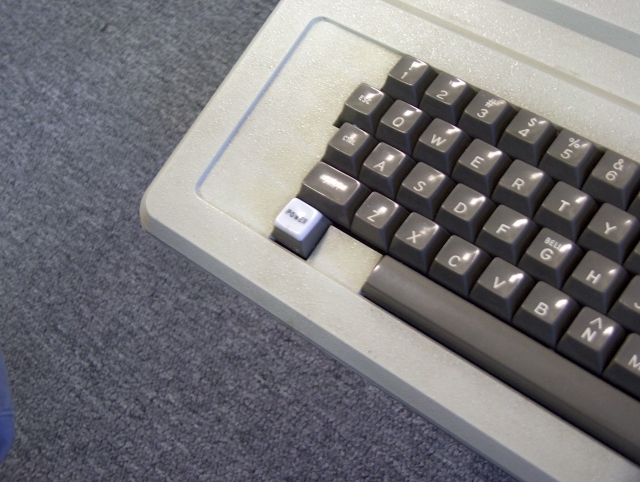 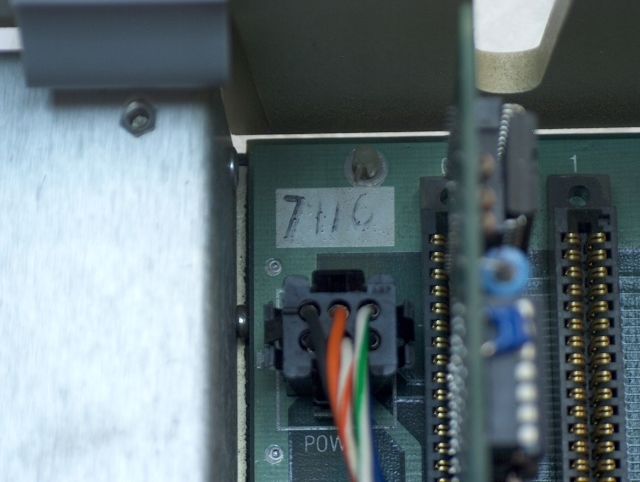 As I Recall, this computer was manufactured in MAY-1983, had a Rev-B Motherboard and the White Key Caps.